Bridge is a highly competitive, trick-taking card game that requires two sets of partners to play. There is a director, a declarer, a dealer, a defender, a dummy, deals, discards and doubletons. This game is not easy to learn, and even harder to master. Bridge requires an excellent grasp on the game’s extensive terminology and an aptitude to master strategy with your bridge-playing partner. In Minnie & Liraz, bridge becomes a matter of life and death. Bridge originated in the late 19th century in Russian and Eastern Mediterranean communities. Its name comes from the Old Russian word for ‘announcer’ or ‘Biritch’ and combines elements of the English card game Whist, and the Russian card game Eralash. The oldest rulebook for Biritch dates back to 1886, where in Constantinople (current day Istanbul) biritch was the most commonly played game at the time. By 1898 the game was anglicised to ‘bridge’ and the craze took off in gentleman’s clubs all over London, Paris and New York. Today, the World Bridge Foundation governs international bridge competitions and conducts annual world championships, which sees hundreds of competitive players travel from every corner of the globe to compete for international titles. In Australia, The Gold Coast Congress hosts the biggest and best pairs’ contest in the country. Like many other card games, bridge is a game of skill and chance due to the nature of randomly dealt cards. Alongside chess, however, it is the only game recognised as a ‘mind sport’ by the International Olympic Committee. 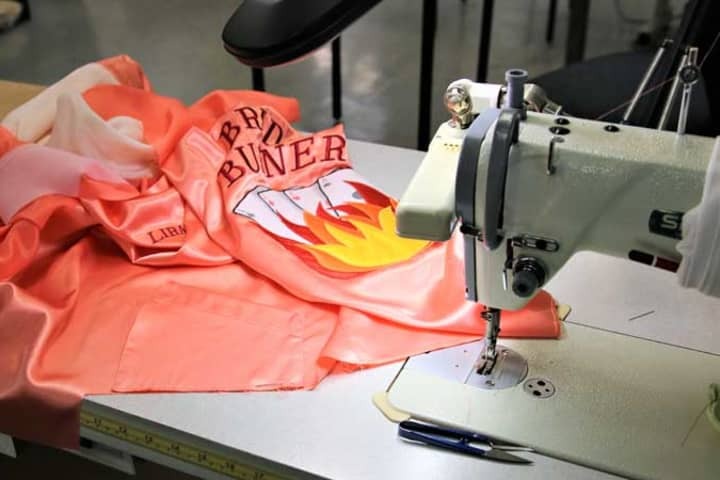 Bridge encompasses bidding, stripping, squeezing, finessing, bonuses (including a grand slam and small slam), major suits, trump suits, final contracts and an extremely convoluted scoring system. It’s not a game you can learn in half a day, or even half a year according to experts. 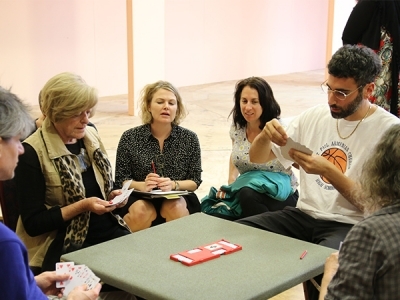 Sue Jones, Peter Paltos, Nancye Hayes and Georgina Naidu play a practice hand of bridge. President of the Victorian Bridge Association Ben Thompson says Victoria is the fastest growing bridge state in Australia with around 5,500 active tournament players across 60 clubs. 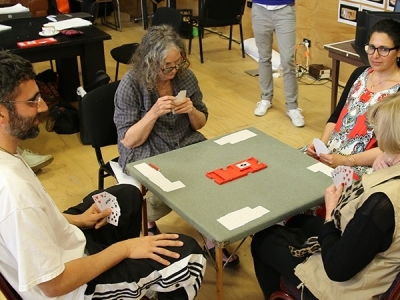 Of the 4,000 bridge players that live in Melbourne, 2,500 of them live in the South-Eastern suburbs. Two Jewish brothers, Jessel and Nat Rothfield, were responsible for founding the Australian Bridge Federation in the late 1960s, and greatly contributed to the establishment of a bridge community in their home city Melbourne. Ben says the vast majority of bridge players fit in the social category of playing, however most elite players start playing by the time they are 20 and spend at least a year of their 20s doing almost nothing but playing bridge. Nancye Hayes thinks about her next move around the bridge table. 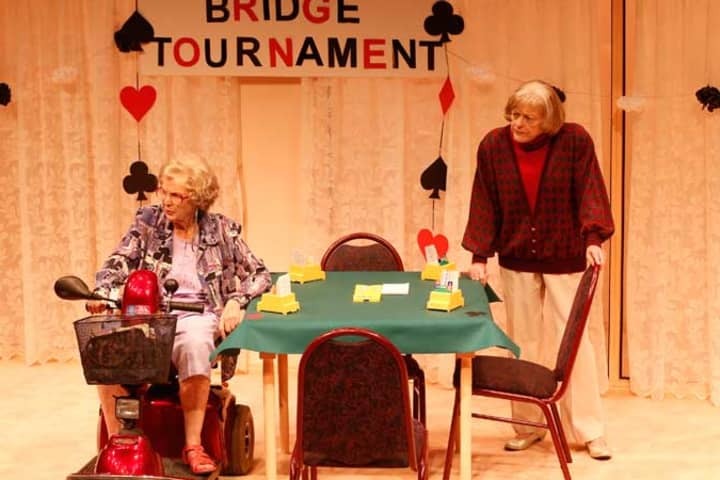 Laura explains that bridge is one of a few card games where a high level of etiquette is demanded from its players, whereby the laws of Contract Bridge demand players to say, “Thank you partner” at regular intervals of the game. Bridge players are expected to conduct themselves in a highly civilised manner at all stages of the game. 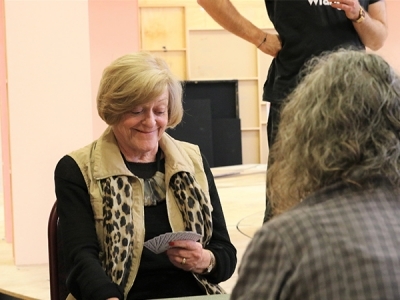 Laura took the time to conduct a crash-course for MTC’s cast of Minnie & Liraz, coaching the actors on how to count their 13-card hands, how to sort their suits and how to speak to each other (or not) mid card play. Laura started playing bridge at the tender age of seven, after tirelessly petitioning her grandmother to teach her. Becoming a bridge champion is no easy feat, she says. ‘It probably takes a year until you are confident in a club game.’ However, there are many supervised sessions where you can ask questions and look at cheat sheets in order to learn. The cast of Minnie & Liraz learns the basics of a complicated game. 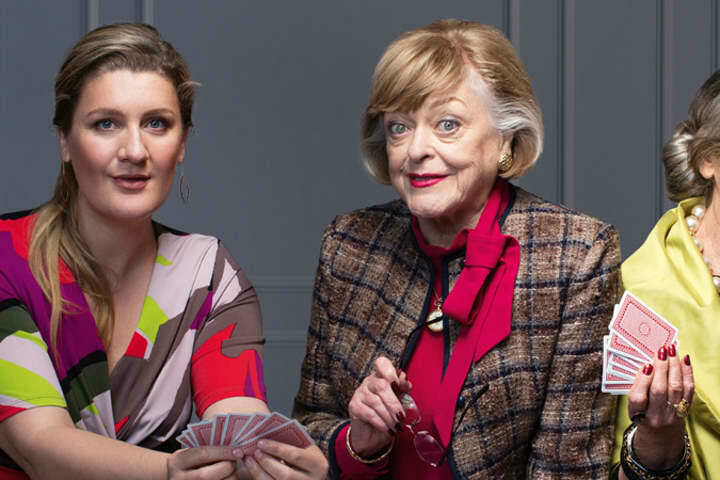 This riotous new play about two fiercely competitive bridge-playing grandmothers stars Virginia Gay, Nancye Hayes, Sue Jones, Rhys McConnohie, Georgina Naidu and Peter Paltos in a charming odd-ball story that will leave you grinning. 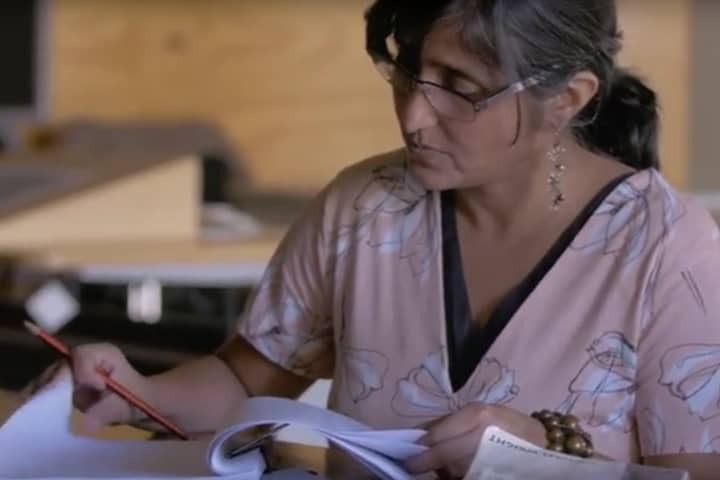 MTC would like to acknowledge the help bridge consultants Laura Ginnan, and Ian & Sandra Mansell in preparing the cast and creative team for this production of Minnie & Liraz. 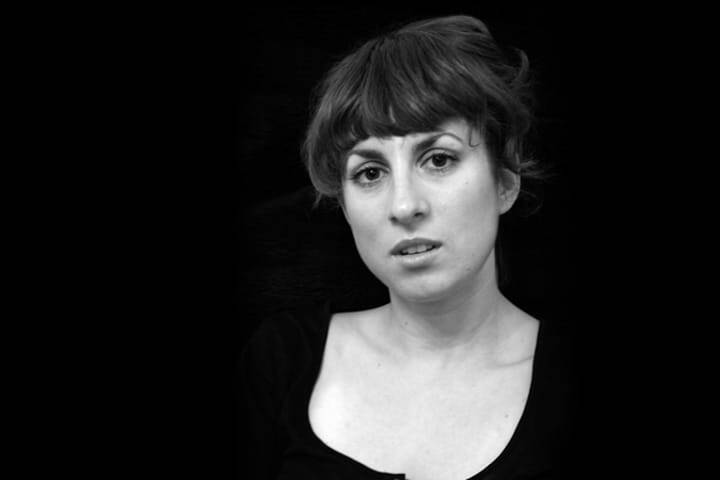 Minnie & Liraz plays at Arts Centre Melbourne until 24 June. Book now.